A classic. A family favorite. A cozy, comfort food. Brown the ground beef in skillet and drain. Return to the skillet and stir in the tomato sauce plus 1/2 can worth of hot water, mustard, vinegar, brown sugar, minced onion, paprika, cumin, garlic powder and salt and pepper. Bring to bubbling and simmer for 10 minutes. 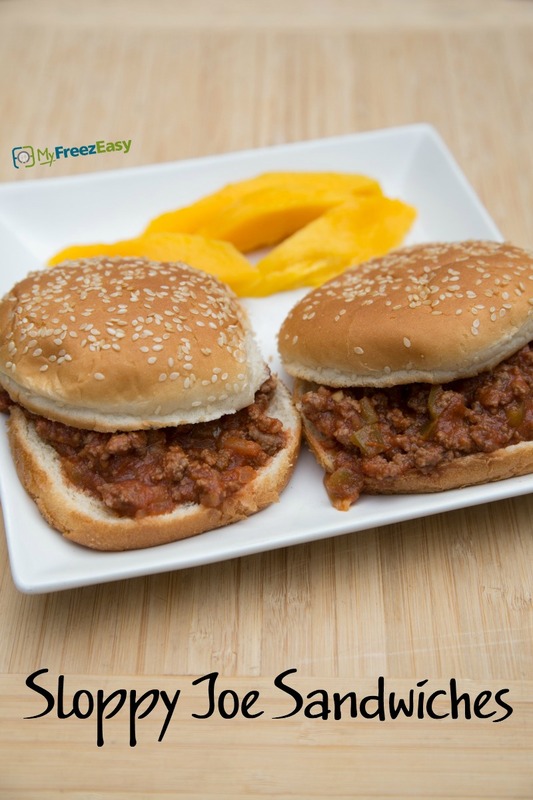 Serve Sloppy Joes on hamburger buns with side of fruit. Brown and cool 2 lbs. ground beef. Put baggie in the freezer and freeze up to 6 months in fridge freezer or 12 months in a deep freezer. Thaw in the fridge overnight, or a warm bowl of water for about 20 minutes, before transferring to the skillet for reheating with about 1 cup hot water mixed into the sauce. You can substitute 15 oz. can sloppy joe sauce for the homemade sauce above. 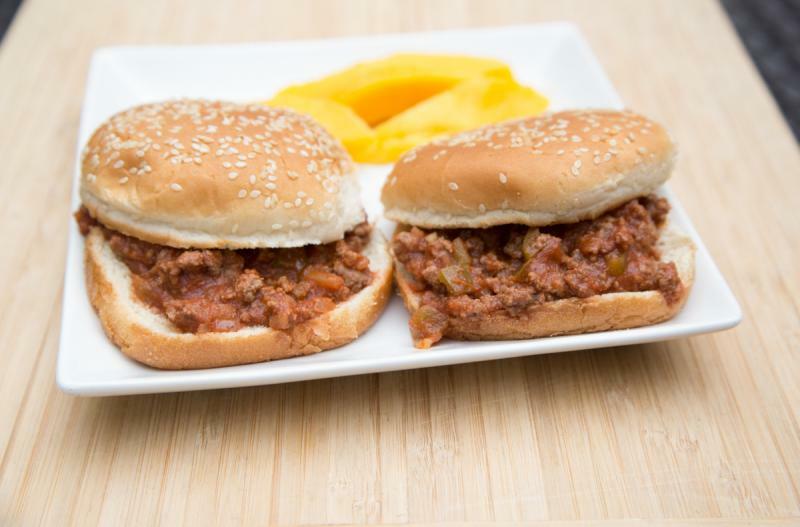 Use gluten-free buns or serve as “Sloppy Joe Bowl” over bed of rice. Thaw and reheat sloppy joe sauce in skillet. Serve on sandwich buns with fruit.